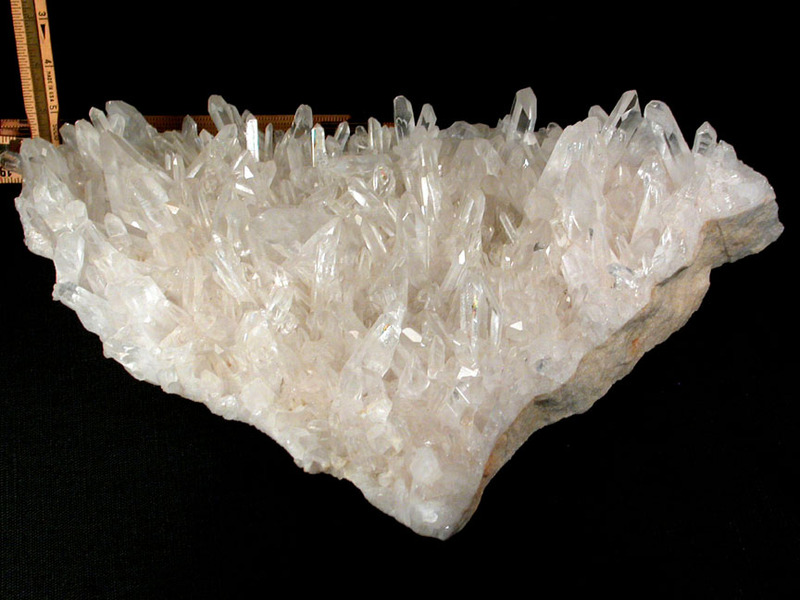 15-1/2" wide x 8-1/8" tall, 3-1/2" deep, here is a trinity: a triangularly-shaped Arkansas rock crystal cluster on sandstone with iron oxide blooms. A fine working or display specimen - it's imposing yet extraordinarily sweet. 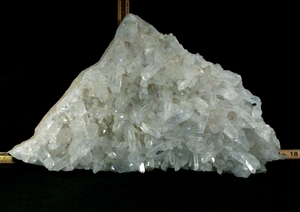 Points of A grade clarity are to 2-1/2" and include 2 rare stepped faced crystals, several true diamond windows, at least 7, 7h faced stones, and penetrators and twins. There is minimal extraction damage, and much regrowth. Many rainbows. Please don't hesitate to email us for more photos - we've taken a few extra. Sent doubly-boxed with hand written description. Shipping will be added.